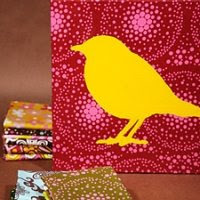 I was searching the Martha Stewart website, and came across this great video of Fabric Silhouette by Anna Maria Horner. I can't wait to try this technique! Take a look at the video. I hope it inspires you as well.